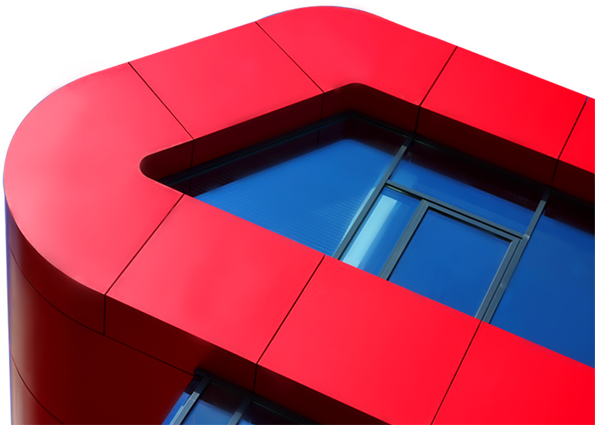 RED STRIPE building is constructed using most advanced technological solutions. Office space is air conditioned with top level temperature, humidity and noise control. Four-pipe fan coil system provides pleasant temperature during the whole year. There is 100% fresh air in the offices coming through advanced ventilation system. Noise level in the offices is under 35db. All technological processes, office lightning, heating and cooling system and all energy consumers are controled and maintained using sophisticated Siemens BMS system, typical for modern office buildings. Building and office access is controled using security system with access cards, advanced interphone and CCTV system for surveilance. For all clients we have provided all types of internet connections: fiber optic, cable, wireless and ADSL, all of them connected to sophisticated providers. Client have the possibility to choose and connect to their favourite internet provider, even if the provider is not available in the building. Besides internet connection, RED STRIPE is supplied with telephone and cable TV connections. All IT and power connections are set in the floor connection boxes, placed inside office floors. There are no cables inside the office space. If you have any questions about building or you are interested in renting office space, please contact us.